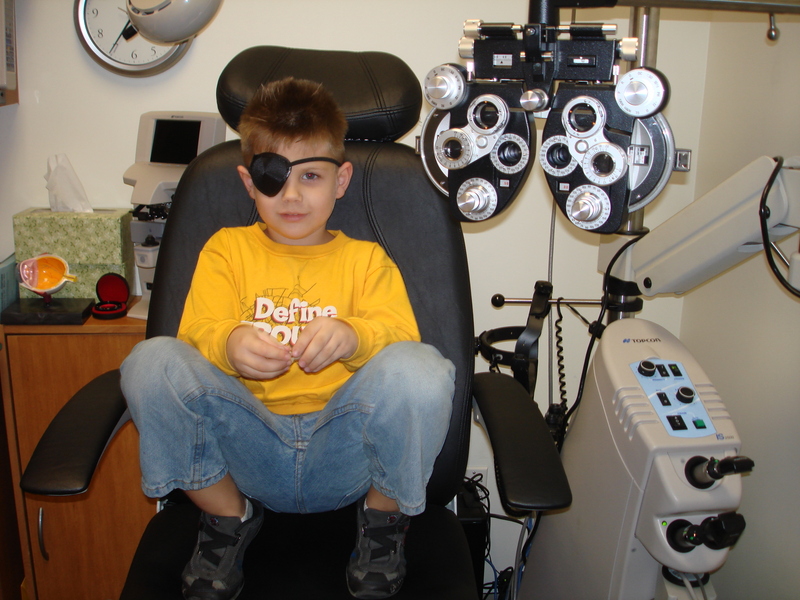 Child Eye Chart | Visionary Eyecare's Blog: "The Eye Journal"
Jacob is 5 years old. He came in today for his VERY FIRST eye examination. Last year he saw his Pediatrician for a vision screening but, he was not too cooperative when it was time to read the eye chart so they really did not have any idea about the clarity of his right eye. This year he went to Kindergarten and had a vision screening. That day mom got a note back that he failed and needed to see an eye doctor. He came into Visionary Eyecare ( the Independent Doctors of Optometry Next to Pearle Vision in Davie) for his first eye exam. 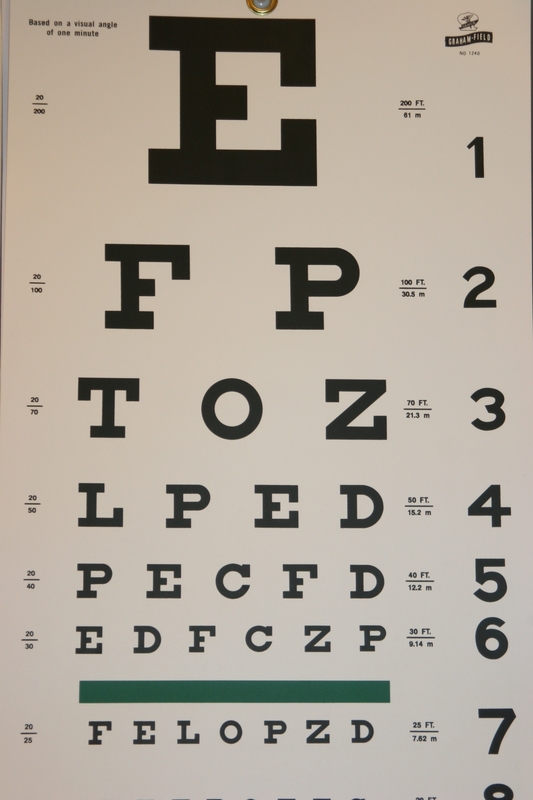 During his vision test we noticed that Jake could see fairly well with his left eye but, he was only able to see 20/80 (eight lines WORSE than 20/20) with his right eye. 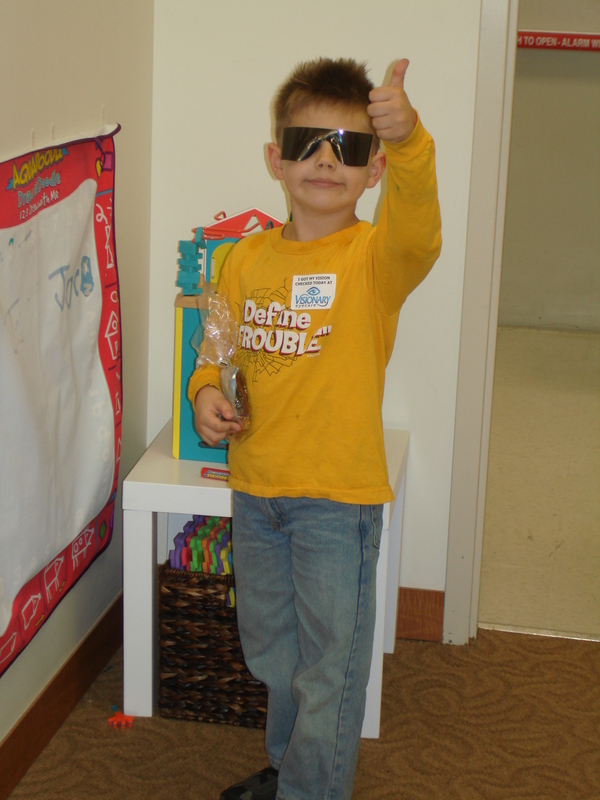 During the eye exam, Dr Bearden found that Jake has a high prescription in his right eye and was using only his left eye to see with. 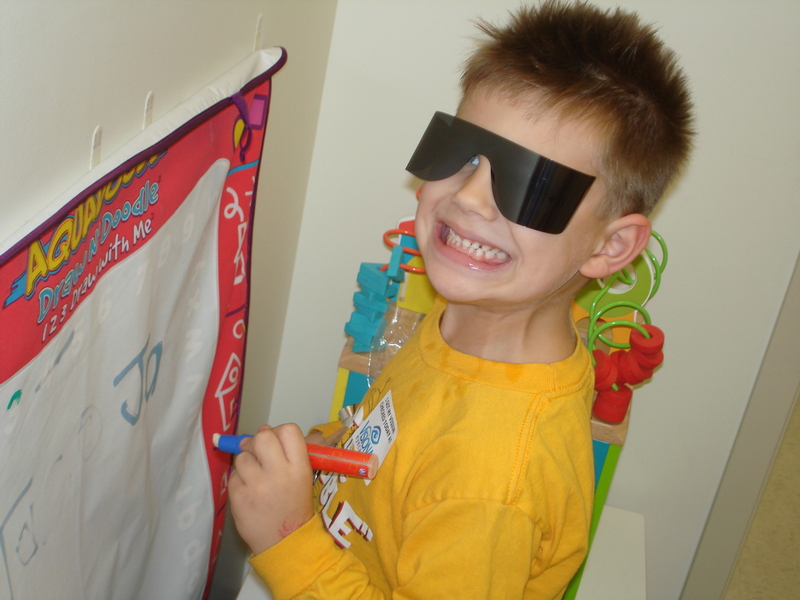 His right eye is a lazy eye (amblyopia) and is not able to be corrected to 20/20 – even WITH a glasses prescription. 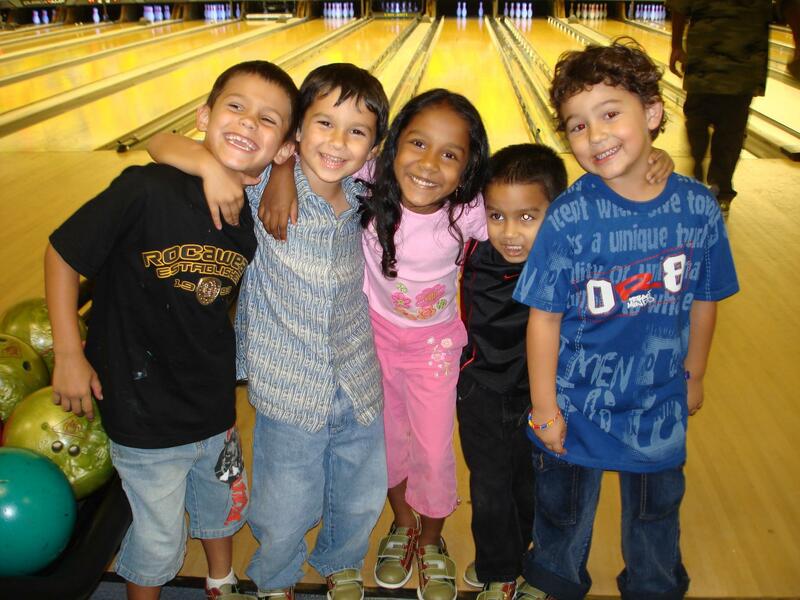 But the good news is that a child’s visual system is not completely developed until around age 7. So he can still adapt to changes in the clarity of his vision – he is more likely to have great success with his new glasses and possible vision therapy to strengthen that vision in his right eye! Jake Give Us the Thumbs UP!!! So, Jake’s eyes are still growing and developing and with the proper glasses and visual therapy – hopefully, he will be able to get the vision in his right eye to be a lot better than 20/80….maybe even as good as 20/20. The key learning for parents is to have your child’s eyes examined with a comprehensive eye examination as early as possible – by an Eye Doctor. 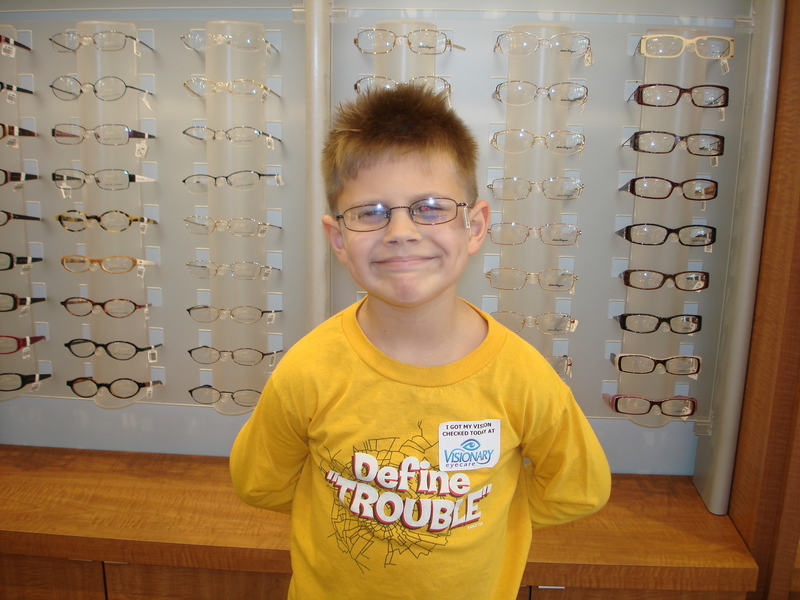 Jake Returns to Pick up his new glasses….just in time for Thanksgiving!! 5 year old Sofia Talpos is Dr Bearden’s patient. She has come in to visit Dr Bearden at Visionary Eyecare several times in the past few months so Dr Bearden can fine tune her glasses while she is adapting to her very FIRST pair of prescription eye glasses. Little Sofia REALLY enjoys visiting our office – she always has lots of fun while visiting Dr Bearden and often does not want to leave!! The video ABOVE features Sofia’s mom, Laura Talpos, talking about her experience with Dr Bearden and Visionary Eyecare. Laura is such a fan of Visionary Eyecare…..that she has even been telling ALL of her friends who have young children about the importance of early and yearly eye exams…..one friend has even come in recently with her 5 year old son to have his first eye exam with Dr Bearden as well. In the video BELOW, Laura and Sofia give away Dr Bearden’s SECRET to her success with Children’s eye exams and Peidatric vision care!! This is a question that we get a lot!! A common misconception parents have is that a vision screening at their child’s school and/or a vision check at the Pediatrician’s office is the same as an eye exam. Vision Screenings are not the same as an Eye Exam because Vision Screenings are vision tests that are designed to ONLY check to see if a child is able to read the eye chart…they do not check for visual development problems or eye health issues. Many children may have eye health or vision problems and still be able to pass a school vision screening or Pediatrician vision screening. Some eye health or vision problems may go undetected with a vision screening….many of these vision problems need to be detected long before age 7 to prevent permenant lifelong vision problems such as lazy eye (amblyopia) or eye turn (strabismus). Your child should have an eye exam at ANY age if a problem is suspected. Believe it or not, an eye examination can be performed on an infant, as young as one day old. 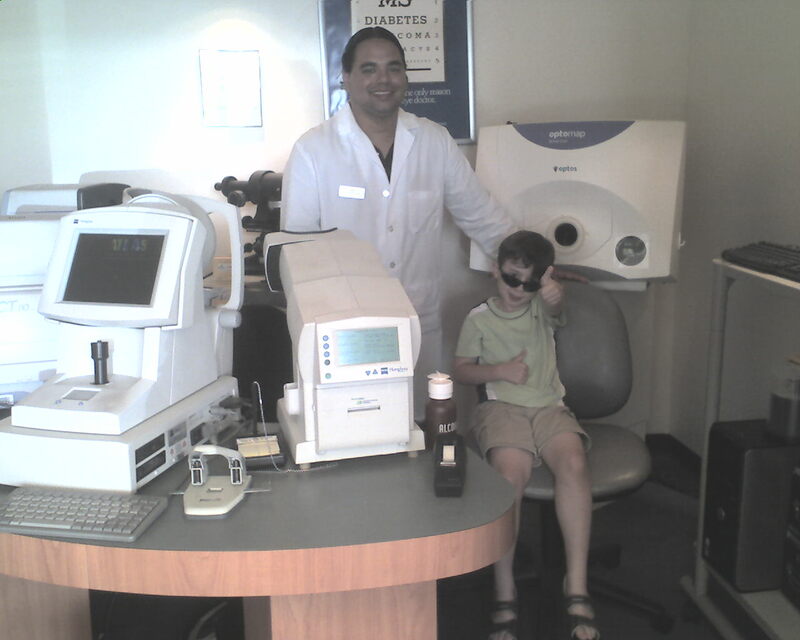 A pediatric eye doctor (Optometrist or Opthalmologist) can determine if a infant or very young child has any vision or eye health problems by using computerized testing – there is no need for the child to be able to communicate verbally during the exam. 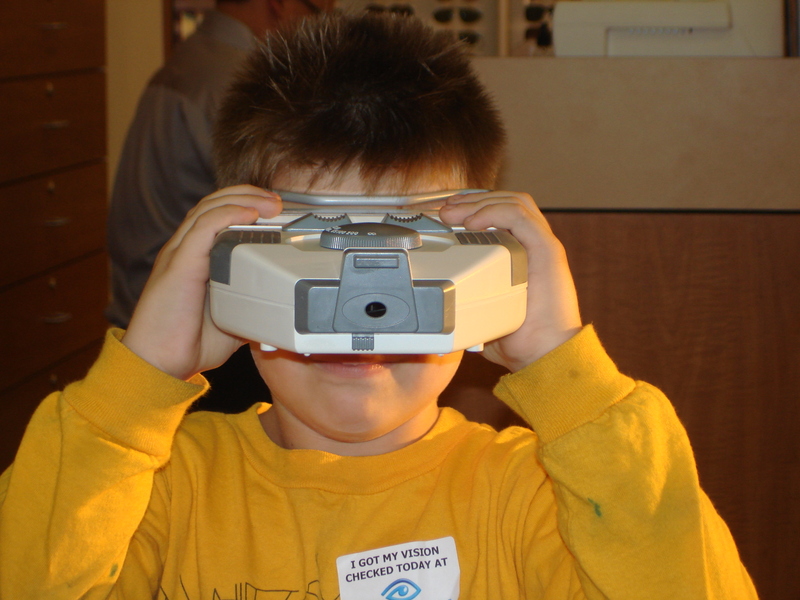 At Visionary Eyecare we like to begin seeing children at age 4. Visionary Eyecare has 2 South Florida eye clinic locations in Broward County for your convenience – Pembroke Pines (Next to Lenscrafters), and Sunrise (Next to Lenscrafters – INSIDE the Sawgrass Mills Mall). If you think your child has a vision or eye health problem BEFORE age 4 – please give us a call at any of our locations and we will be happy to refer you to a pediatric optometrist or ophthalmologist that can perform an exam on your child. When scheduling an eye exam for your child – it is important to ask if the doctor’s office is set up to deliver vision tests to examine children. 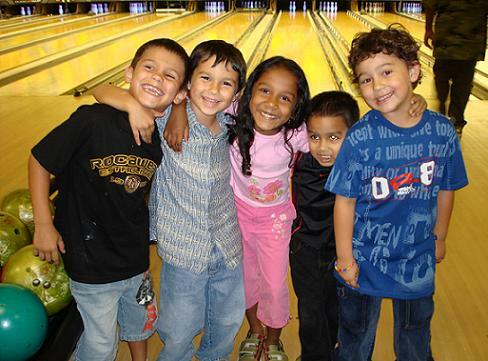 Not all eye doctors are equipped or feel comfortable performing eye exams on young children. 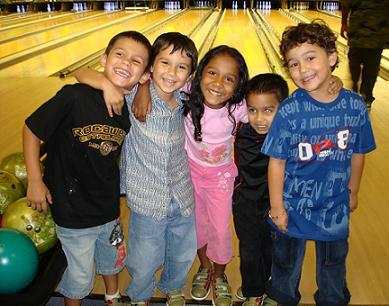 It is essential that your child has an eye exam by an EYE DOCTOR at least by age 4 or 5 – before entering kindergarten. Many forms of blindness or lazy eye (amblyopia) can be prevented if detected early AND corrected.